Fun to piece candle mats! 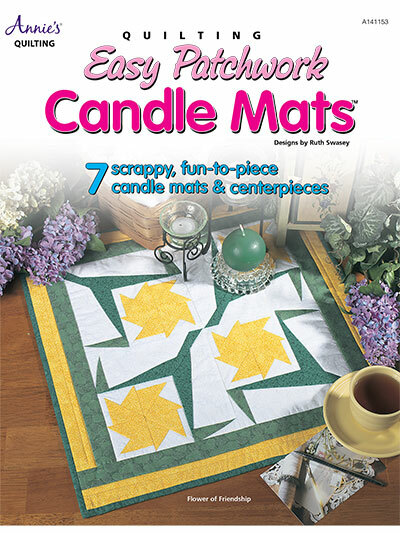 This book has 7 lovely candle mat patterns for every occasion and scent! Easy to customize with your favorite fabrics. 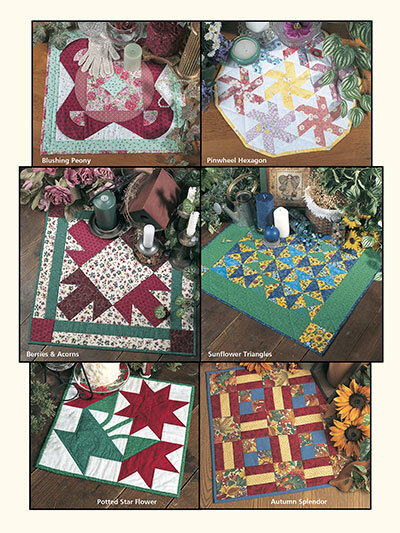 Great for using up your scraps! Would also make great wall hanging or other home décor. Page count, 24.